New Delhi: A Medical Council of India (MCI), circular issued recently has directed all teaching hospitals to start registering the biometric attendance of their teaching faculty. December 1, 2017 onwards, the assessment of faculty, barring Senior and junior residents, would be based on the biometric attendance record, the circular as specified . The new attendance project known as “Online Faculty Monitoring System”(OFAMOUS) is meant to keep track of faculty attendance in government and private teaching hospitals by the Medical Council of India. 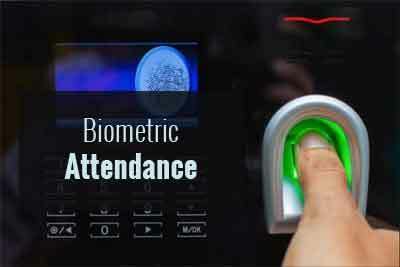 4,500 biometric device installations have been made in various teaching hospitals to keep a record of teaching faculty attendance. With a specific focus on capturing digital staff attendance, the OFAMOUS project is part of the Digital Mode Mission Projects under the National e-Governance Plan (N-eGP) reports Telangana Today. The move has been undertaken by the council to curb the growing menace of ghost faculty in the medial colleges in the country. It is reported that in many places, medical colleges allegedly show permanent qualified faculty, only on records on the day of inspection, however classes are undertaken by ghost faculties, with some places, classes not being undertaken at all. “As per earlier practise, head count of faculty was taken. This will become obsolete after introduction of OFAMS as daily attendance will be fed to servers,” a state government official told Indian Express. What a shame tracking the so called moral individuals of the country hope it wont happen even in least developed countries tracking the teachers like criminals indicates state of the medical education of the many learned and educated professors and faculty , peoples standards have gone so low what we expect from students,? Most Important question WHAT NEXT CAN THE TEACHERS WHO ARE CHEATING THE SYSTEM GETTING DECENT SALARIES CAN DETAIN THE STUDENTS WHO LACK ATTENDANCE AND REQUIRED INTERNAL ASSESSMENT MARKS ? Good idea but the motive should be clear …One must be sure about the feasibility and mechanical error proof….as frequently it is observed in aadhar cards. It takes a few more years to get senior faculty like professors and associate professors.then biometric is not at all required.however quite a few clinical teachers are not interested in teaching compared to their clinical practice.why visiting professors are not allowed in our system.they can take classes both theory and practical.